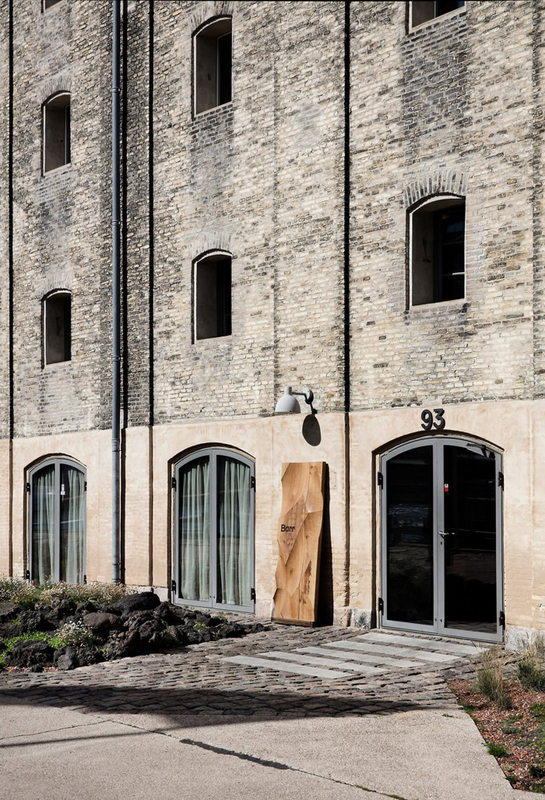 Barr is a new endeavour by acclaimed chefs Thorsten Schmidt and René Redzepi in the former home of Noma on Copenhagen’s waterfront. 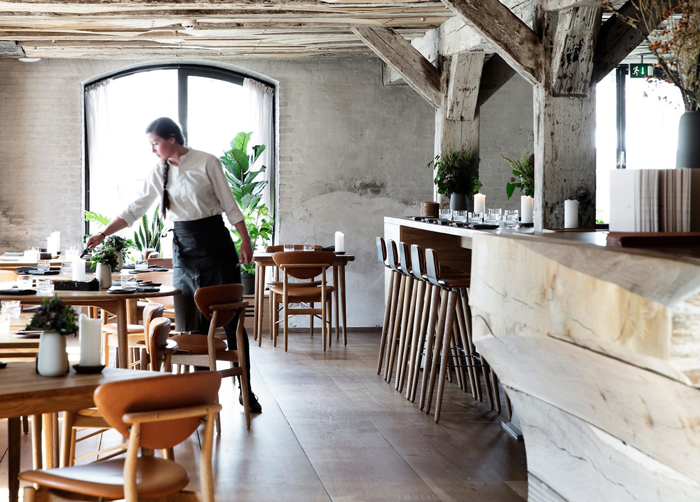 Designed by architecture studio Snøhetta, the restaurant is casual yet very sophisticated. 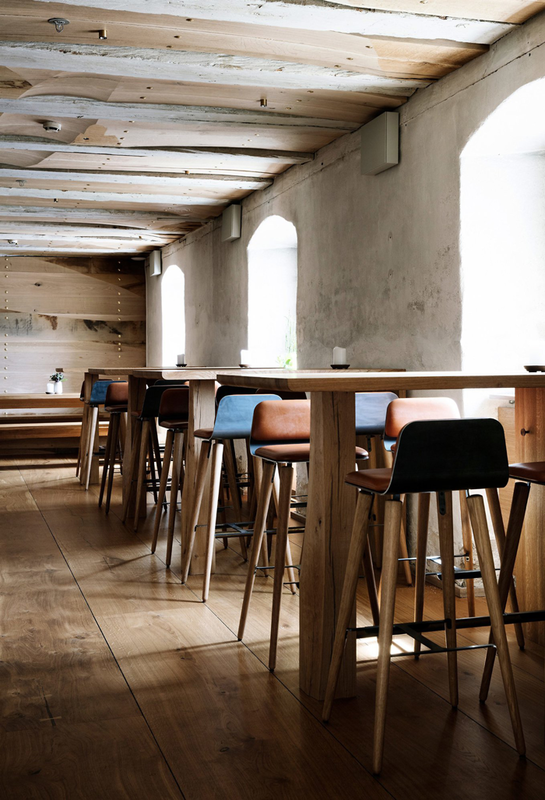 Its warm oak floor contrasts with the rough texture of the original stone walls. 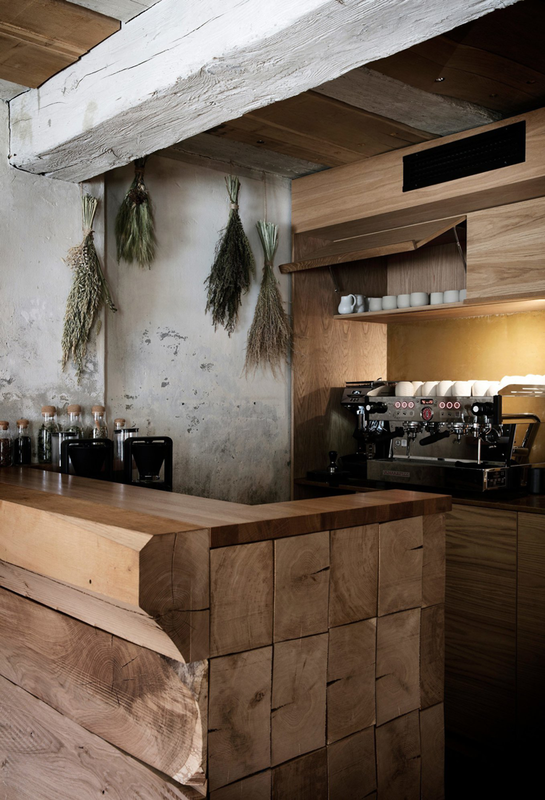 A massive, carved wooden counter stretching from one room to the other anchors the space. The ceiling is alternately composed of the original ceiling beams and new, sculpted wooden planks, which are embedded with brass details that reflect micro spots of light. 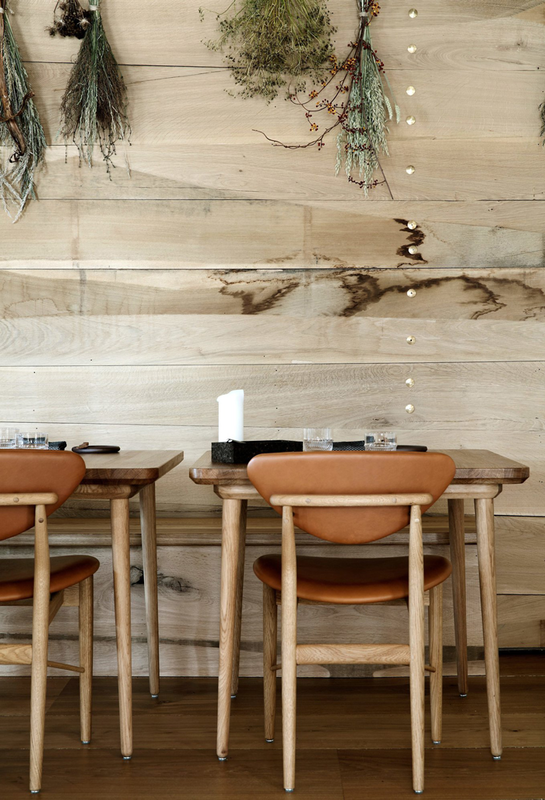 Raw materials – wood, leather and wool – evoke the restaurant’s Northern influence. 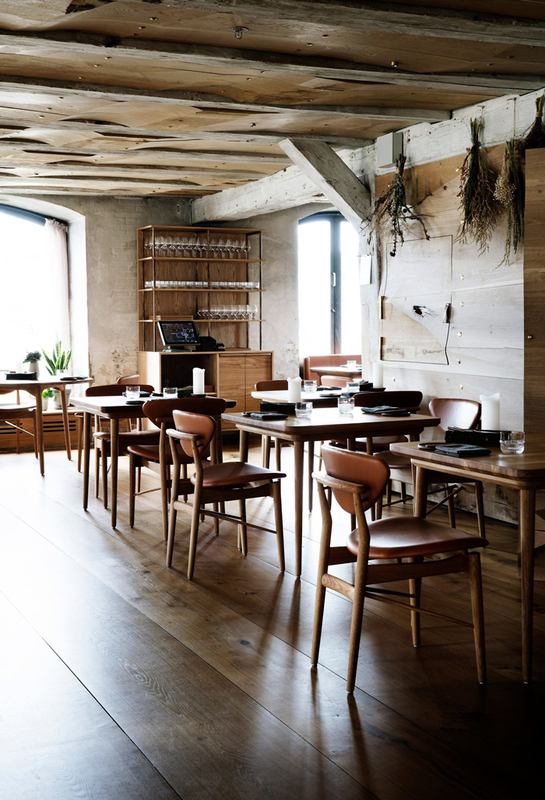 The restaurant’s furniture was created by Malte Gormsen using traditional Danish craftsmanship and carpentry. 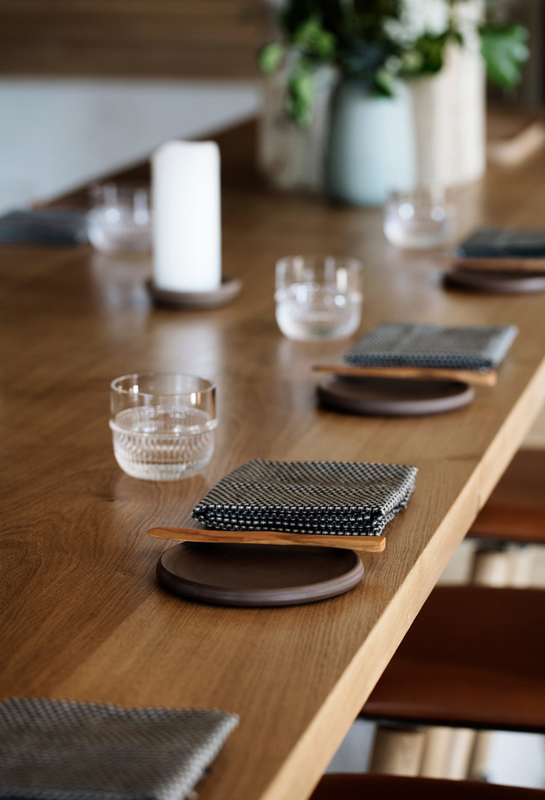 Barr focused not only on the Nordics, but also on the broader food and drink traditions found in the region along the North Sea; an area that spans Scandinavia, Germany, Benelux and British Isles. 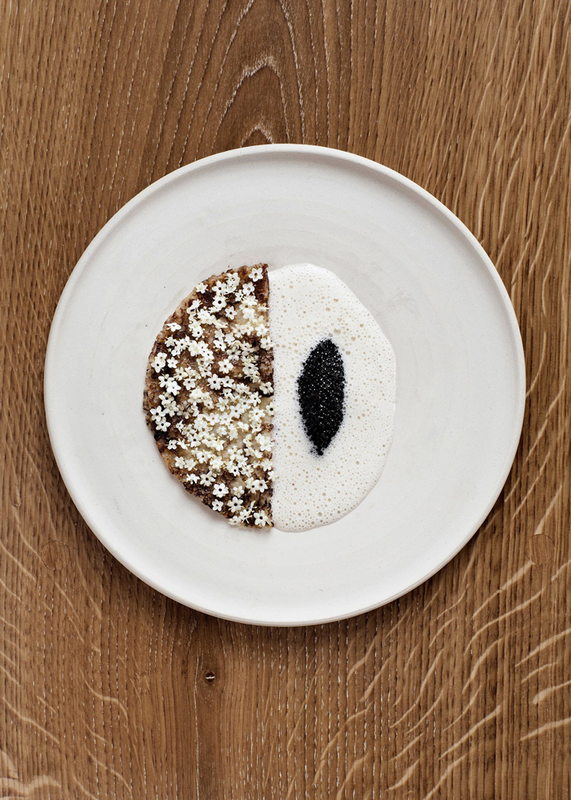 The restaurant’s name (Barr: meaning “barley” in old Norse), reflects Schmidt’s fascination with the region’s food and drink history and culture. 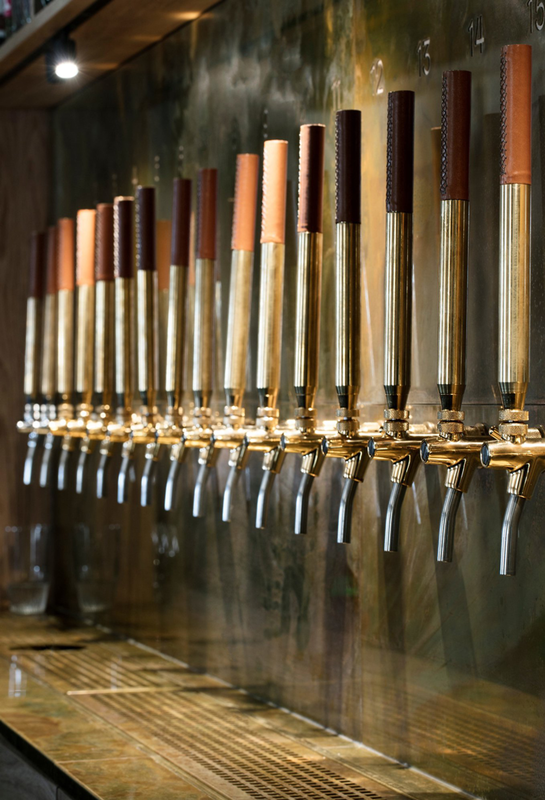 Classic dishes such as frikadeller (Danish meatballs), schnitzel and hot-smoked salmon will be offered alongside a large selection of craft beers and aquavits.